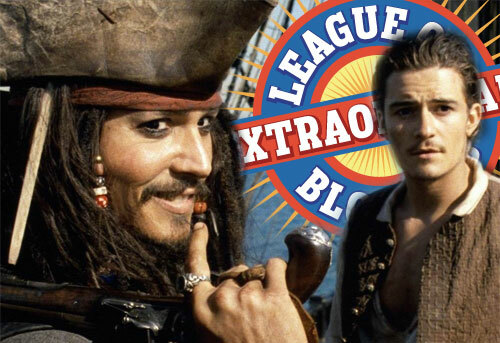 This week’s assignment from the League: Pirates! So, after the votes were counted, it looks like we’ll be talking like a pirate, Arrrrrgh! An excellent entree into the League! You made me want to break out the paints! I may have gotten a bit carried away….got into this one! Jon, excellent post. I’m new as well; http://rgendres.blogspot.com/ I have so many pirate themed games, it was hard to choose. Here’s mine. I’m actually extending this blog post into three differente blog-posts about pirates, but I won’t put all the links on here… so keep your eyes peeled on the Goodwill Hunting 4 Geeks blog for more! YAR HAR FIDDLE DEE DEE! 8 Best Pirate Villains In 80s and Early 90s Cartoons! And here’s my contribution, about the Dreadnok Pirate Zanzibar! I’m back boyos with a vengeance! My entry is in, and it’s all pirate-y. And Muppet-y. And soundtrack-y. And here’s my entry… whatever it is! My new goal might be to work wrestling into every week no matter what the topic. I’m BACK!! I’m LATE!! But I bring to you… Sky Pirates! !